Batch process the selected project items. For instance, it can be used to resize and apply the same preset to a collection of movies or comps. Batch process the selected project items. 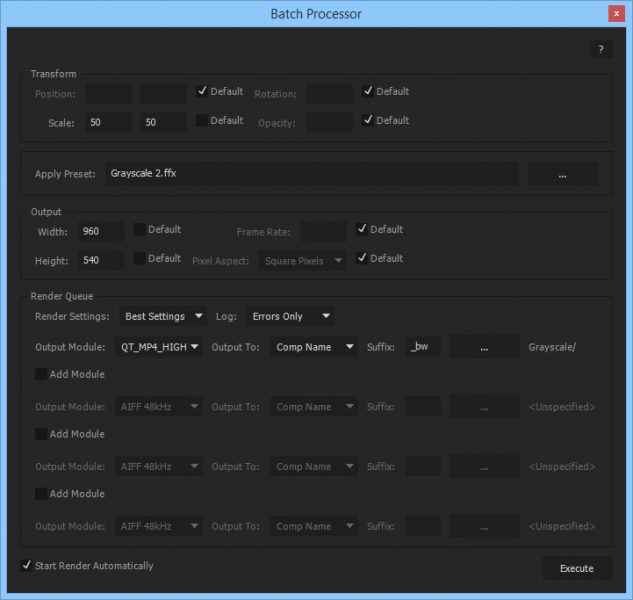 For instance, it can be used to apply the same preset to a collection of movies or comps. You can add multiple output modules if you want different types of output for each rendered item. Allows you to speed up or slow down a video according to an Audio Amplitude layer.